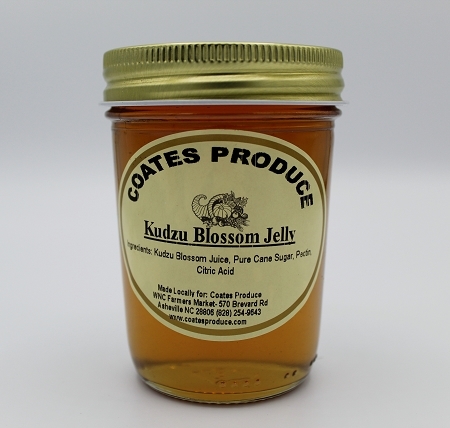 Our Kudzu Blossom jelly is made in small batches and hand stirred. Kudzu blossoms produce a sweet, mild flavored jelly. All you need is biscuits and butter.